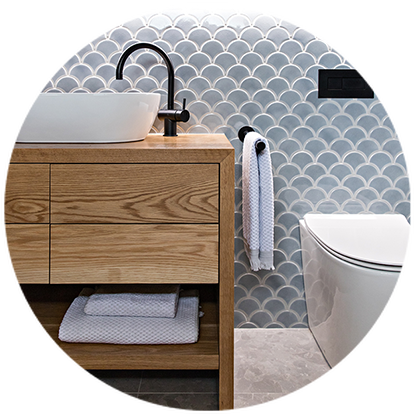 It takes clever design and knowledge of which products work best together to achieve the perfect bathroom design. 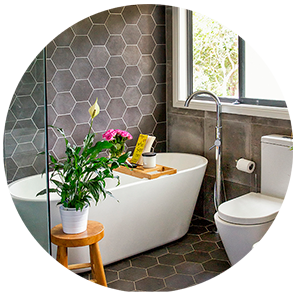 You will be amazed by the level of detail that is required to ensure a bathroom is not only functional in its layout, product selection and storage systems, but also in making it look exquisite – whatever the budget you’re working with. 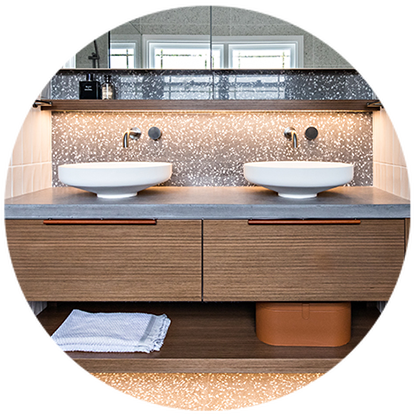 Even though it can often be the smallest room in a home, it is one of our favourite spaces to design. A fresh set of eyes, combined with creative and clever design minds, can transform a space impeccably. 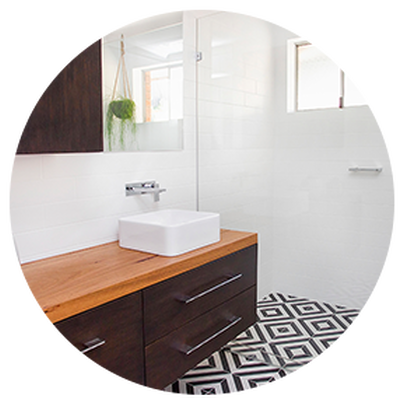 If you’re in the market for an update to your bathroom, whether it’s a family bathroom or something a bit more special for your ensuite, this is the package for you. *Design Management fees are priced per project, exclusive of the design fee. 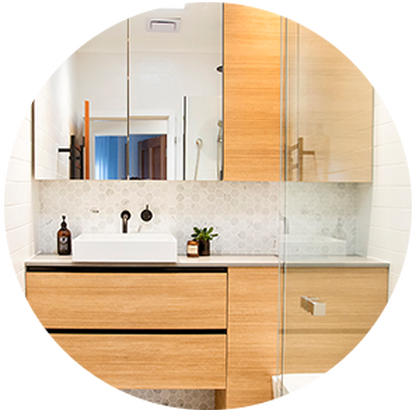 Not only will you be receiving the best in designs but you’ll also have access to the latest products and finishes on the market. In our first meeting we will come out to your home. Here we will document and measure the areas that can be worked with. If you are building a new home, we will meet over coffee at our design studio. This first meeting is all about us finding out exactly what you are looking for. Your brief is an important starting point. In saying that, by no means do you need to know every single detail, but if you’ve seen things that you like, or have photographs, this is the best time to share them. We will discuss your budget and time frame considerations. Our second meeting (held at our design studio) is where the fun begins! Between our first meeting and second meetings, we will have been busily creating designs for you. You will be shown 2-3 floorplan layouts which will indicate your potential options and the possibilities of which direction we can head in. Sometimes clients fall in love with one particular design straight away. Other times they may like certain elements out of multiple designs. Collaboratively, we will work towards getting a final design that meets your individual requirements. Once a design is finalised, it will be drawn to scale using CAD. You will receive an A3 copy of the floorplan, lighting plan, elevations and any relevant detail drawings at your next meeting. ‍*Should your project require council, building or development approval a price for additional drawings and application fees will be given, all dependent on the complexity of the project. This will be discussed with you at the time required before submitting applications. 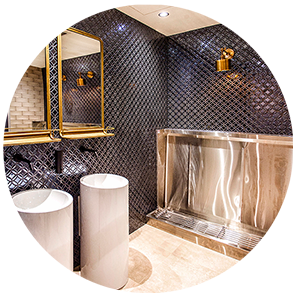 Our third meeting includes the selection and specification of all fittings, fixtures and finishes as required. Here you'll be choosing all the materials that make your project one of a kind. 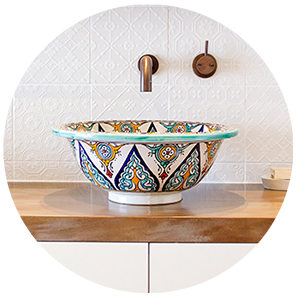 They will include items such as the benchtop material, joinery finish, tiles, basins, tapware, lighting etc. 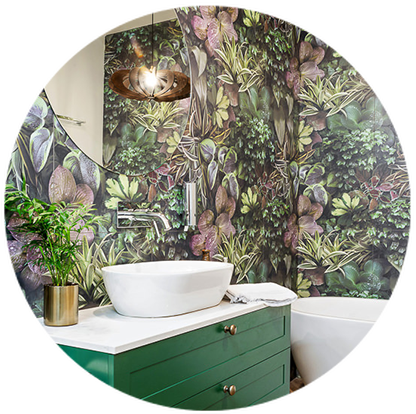 Depending on your budget for the project, our third meeting will either be spent as a half day in the Illawarra or a half day in Sydney travelling to selected showrooms to choose your fittings, fixtures and finishes. You will be required to meet your designer at the specified showrooms, and they will guide you throughout the excursion. 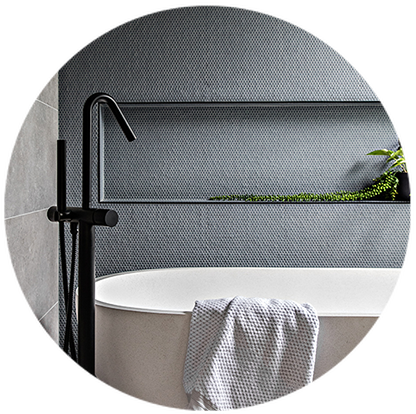 Half day excursion to showrooms within the Illawarra, selected by BIRDBLACK DESIGN. Half day excursion to showrooms in Sydney, selected by BIRDBLACK DESIGN. *Note: If you are proceeding with multiple design packages, we will make all of your selections for ALL rooms within the same excursion. 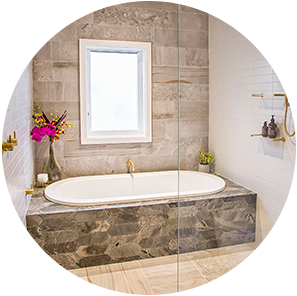 This allows us to create a harmonious feel throughout your home. Depending on the number of packages we can allow up to one full day for this excursion. Before our next meeting, your drawings will be updated to include your fittings and fixtures selections. This is the largest section of work that BIRDBLACK DESIGN has to do. We spend the next period of time ensuring all your fittings work within the design when drawn to scale. 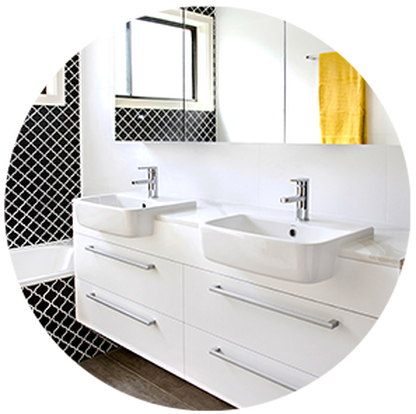 This part of the process is critical in ensuring that tiles, joinery finishes, benchtops etc are all notated in their correct locations. If you would like to proceed with design management, BIRDBLACK DESIGN will arrange to meet with our selected builder at the deemed project site to obtain a labour quote. 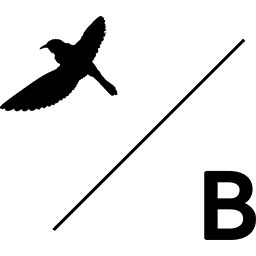 BIRDBLACK DESIGN works only with qualified and reputable trades people. If BIRDBLACK DESIGN is the nominated design manager, then all bespoke items for your project will be quoted and prices will be given to you at the next appointment. 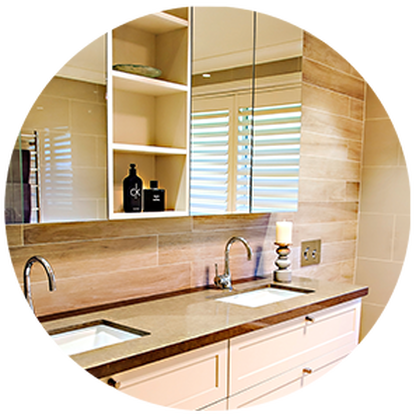 If you have your own builder, all the details can be passed on to said building company to quote using their own regular suppliers and tradespeople. In our fourth meeting (held at our design studio), you will now be presented with the final set of A3 drawings and corresponding selections list. We will discuss the final selections list inclusive of costings and labour prices that have been obtained (if applicable). When we have finalised all design queries and final prices, the project will be ready to proceed. If you are proceeding with Birdblack Design’s Management Service, final paperwork will be finalised and we will discuss start dates and expected time frames for the completed project. 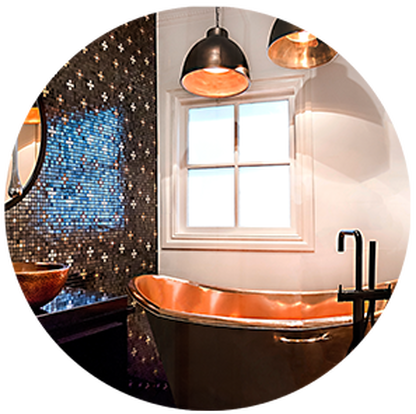 BIRDBLACK DESIGN will work closely with the builder, trades people and suppliers involved throughout the duration of the job, as per our design management service. If you are using your own builder, we will email you a pdf copy of the drawings and the selections list which you can pass on to your nominated building company. 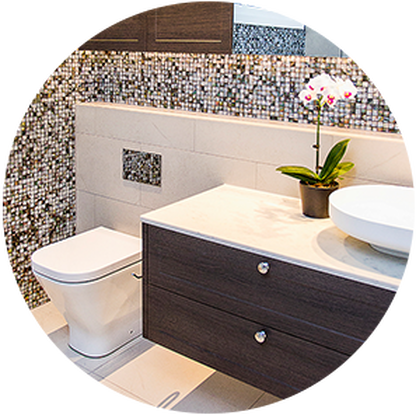 We can offer you a 3D Rendered view of your bathroom for$350. ‍Once we have developed your final design and material selections, we can offer you a 3D rendered image of your space. This will give you a sneak peak of what the final result is going to look like. A perfect visual option for those who struggle to read floorplans and elevations. 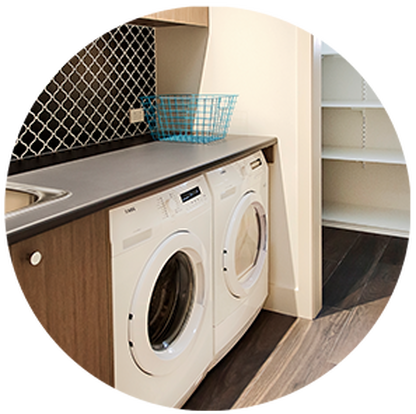 The laundry is such an important space that gets used on a daily basis especially for working families. So often it is an afterthought at the design stage. It’s not just a room for your token appliances like a washing machine and a dryer. When looked at in detail it can provide you with a functional workspace for hanging clothes, ironing clothes, a space for mops and brooms, linen storage, bulk storage or pantry overrun- the list is endless. If you find that your laundry is not maximising its current space effectively then this is the package for you. 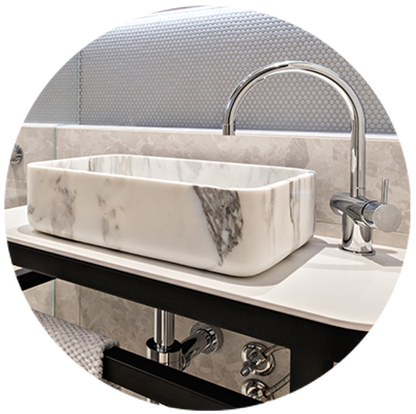 Our third meeting includes the selection and specification of all fittings, fixtures and finishes as required. 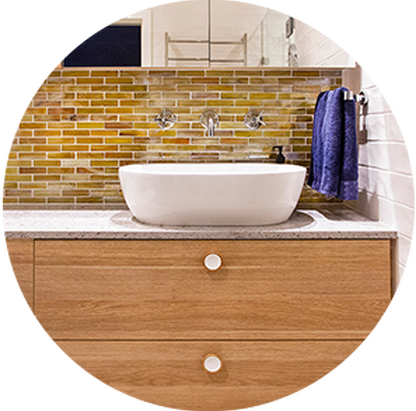 Here you'll be choosing all the materials that make your project one of a kind. 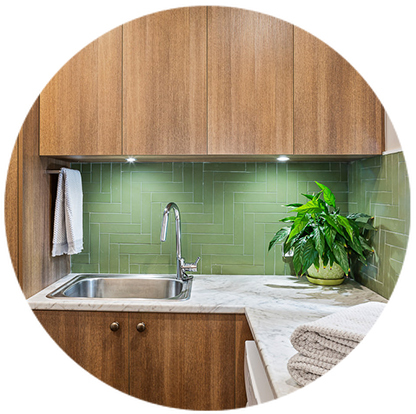 They will include items such as the benchtop material, joinery finish, tiles,tapware, lighting etc. 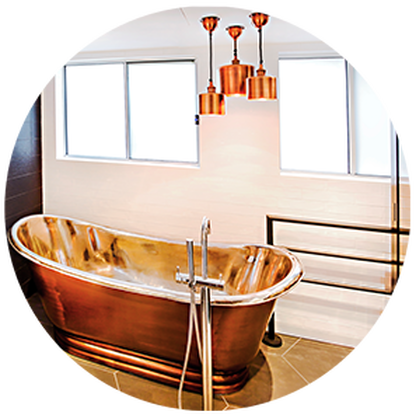 Depending on your budget for the project, our third meeting will either be spent as a half day in the Illawarra or a half day in Sydney travelling to selected showrooms to choose your fittings, fixtures and finishes. You will be required to meet your designer at the specified showrooms, and they will guide you throughout the excursion. We can offer you a 3D Rendered view of your laundry for$350. Once we have developed your final design and material selections, we can offer you a 3D rendered image of your space. This will give you a sneak peak of what the final result is going to look like. A perfect visual option for those who struggle to read floorplans and elevations.